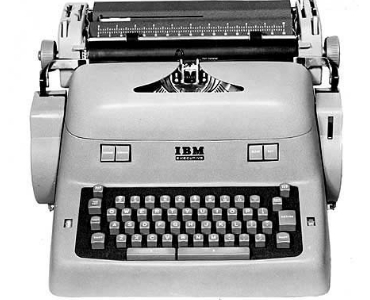 Fifty years ago IBM introduced the Model B Standard and Model B Executive Typewriters. Both machines featured cushioned carriage return, electric ribbon rewind, changeable typebars and pastel colors. 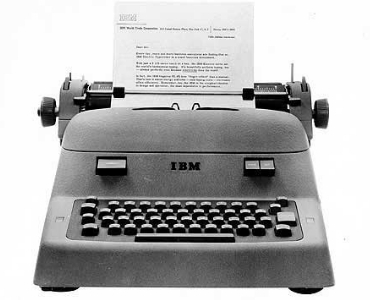 The IBM Model B Standard TypewriterThe Standard model with a 12-inch carriage sold for approximately $395 and the Executive model could be purchased for about $575. The IBM Model B Executive TypewriterAt the time the Model Bs were launched on March 1, 1954, IBM had already been in the typewriter business for more than 20 years. And IBM remained a significant force in that business until 1991, when IBM's typewriter line and other office products became part of a new company, Lexmark International, Inc.